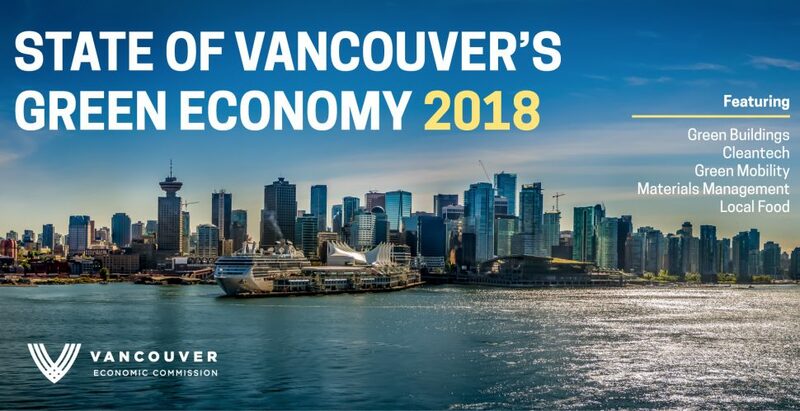 Mayor Gregor Robertson and the Vancouver Economic Commission (VEC) are pleased to present the State of Vancouver Green Economy 2018 report – the result of the first and only consistent green jobs tracking research performed in the Americas. Amid a heated national debate on fossil fuels, pipelines and tankers, the VEC’s report shows a 35 per cent increase in green jobs and highlights over 200 leading businesses and institutions in the arena of sustainable innovation. The report offers a comprehensive, data-driven snapshot of the thriving low-carbon industry that has contributed to the city’s nation-leading growth while reducing carbon emissions by 11 per cent since 2007. Media are invited to speak with industry experts and representatives from leading companies providing transformative clean technology solutions. There will be some opportunity to film B-roll and photograph the speakers against a backdrop of Terramera’s rooftop greenhouse facility. Anna Stukas, P.Eng, Business Development, Carbon Engineering Ltd.